Spark your team’s creativity and resourcefulness with this fun icebreaker! Many think that creativity is an inborn trait rather than something that can be learned and developed. This may be so, but without a conducive environment for creativity to be expressed, how can we expect to see ideas arising from employees? The performance of today’s brands is becoming increasingly dependent on its ability to be creative. Stimulating this character trait is one of the major focuses of any company. And while there isn’t one singled out formula to accomplish these means, there are still actions an organization can take to transform its culture into one of free thinking and innovation. This can be done with one group or multiple groups at the same time. 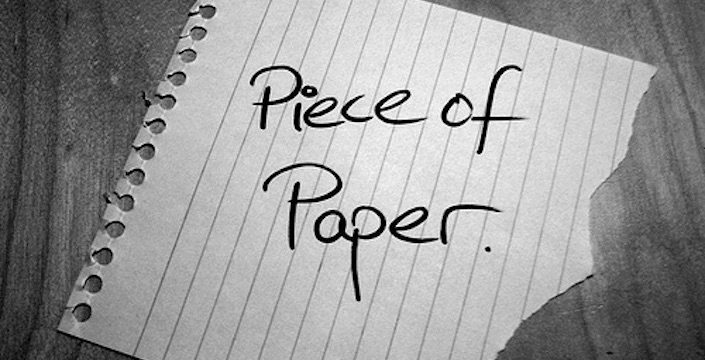 Give a piece of paper to each group of five to ten participants. Participants experience a myriad of ways to use a piece of paper and translate this to the multitude of ways to solve problems, use resources, motivate a team, and so on! Effective problem solving does take some time and attention more of the latter than the former. But less time and attention than is required by a problem not well solved. What it really takes is a willingness to slow down. A problem is like a curve in the road. Take it right and you’ll find yourself in good shape for the straightaway that follows. Take it too fast and you may not be in as good shape.